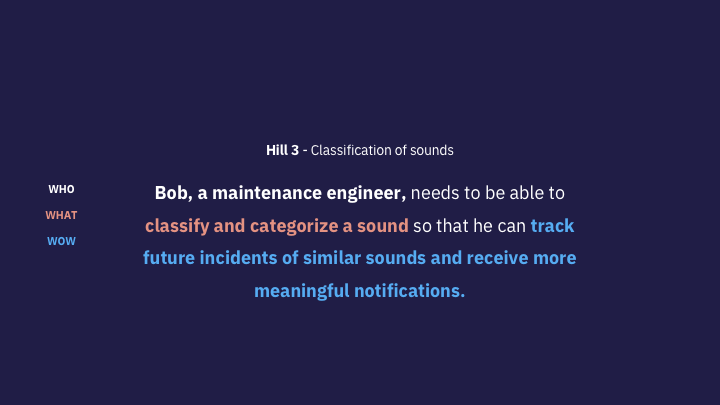 A collaboration with IBM Research to build an app for IOT audio collection. 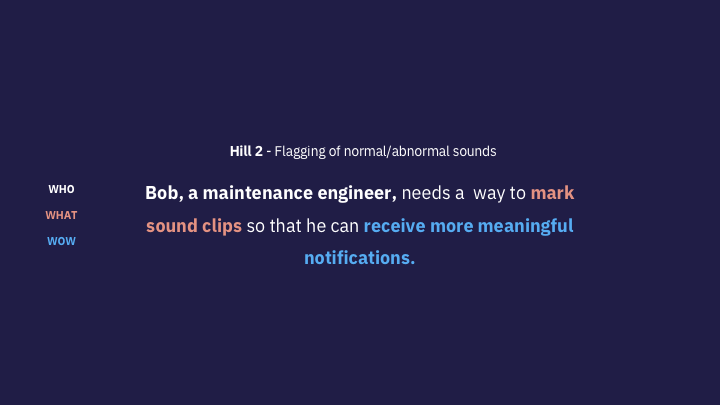 Problem Statement: To build an cross platform app that would capture abnormal sounds in a user's environment as well as allowing them the ability to label these sounds. Responsibilities: I was the design lead on this project, analyzing the user need and building the UI around those needs. The cross-disciplined team had members from different project teams with varying levels of expertise. The team was split between the research team in Yorktown, New York and the design team in the Research Triangle Park, North Carolina. This project began with an outreach from an IBM research team. 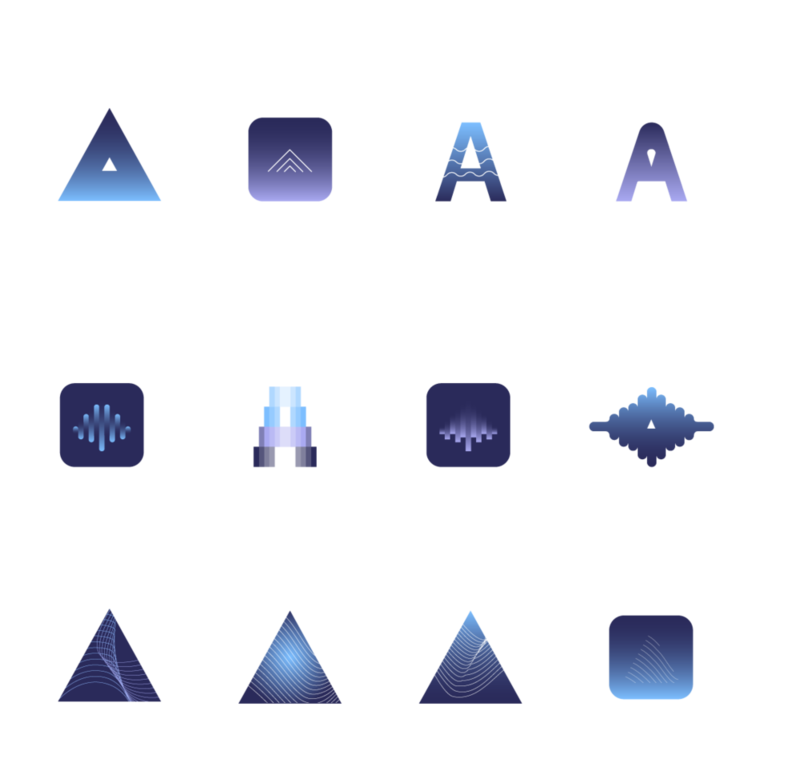 The team was looking for design work on an audio analytics app they had been working on. The concept sounded really interesting to me so I decided to join the team. The research team was aiming to create a consumer app to help build their audio algorithm. My small design team got together to figure out who this app would be created for and how it would help their current situation. 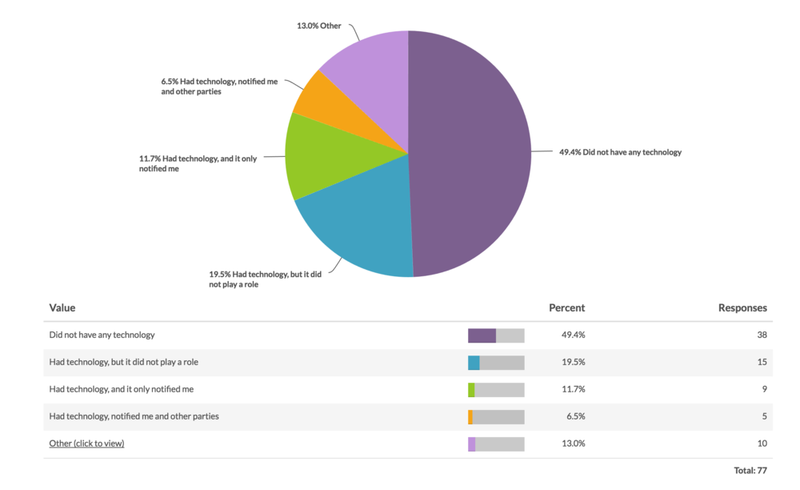 We decided to collect some research around audio analytics so that would could gain a better understanding of the users. After collecting research, we evaluated our user type and built personas. We created both a consumer persona and a business persona. We used these personas as a reference throughout our process to ensure we were always addressing our user needs first. Before we could begin designing, we scheduled a design thinking workshop with the research team. The research team and design team worked together to come up with outcomes and to align on the design strategy. Once our strategy for the listener app was determined, we began iterating on the UI. 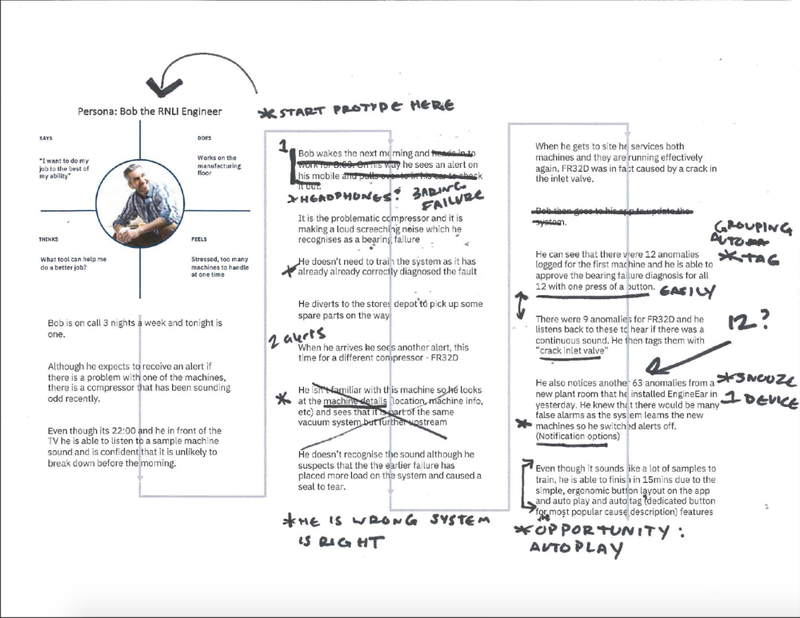 I made sketches and lo-fidelity wireframes to help the team understand what flow made the most sense for our users. 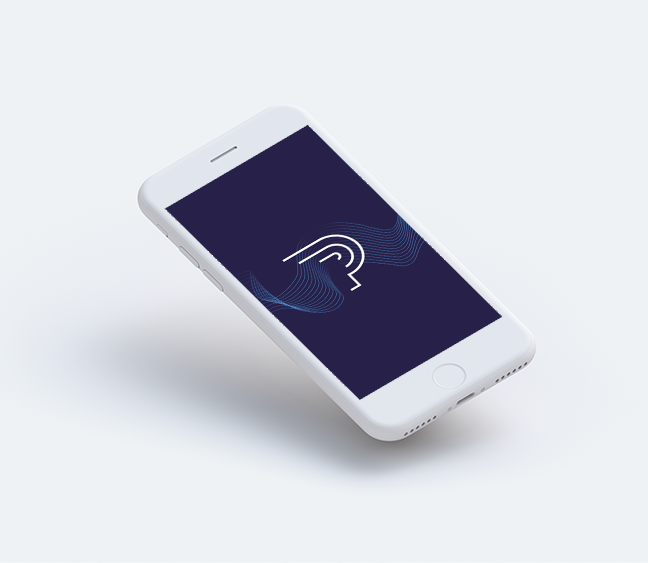 After forming our wireframes, we began to explore the branding for the listener app. I began my process by exploring potential names for the app, I focused on the anatomy of the ear. The name that stuck was Pinna (also known as the Auricle) which is the projecting portion of the eternal ear. 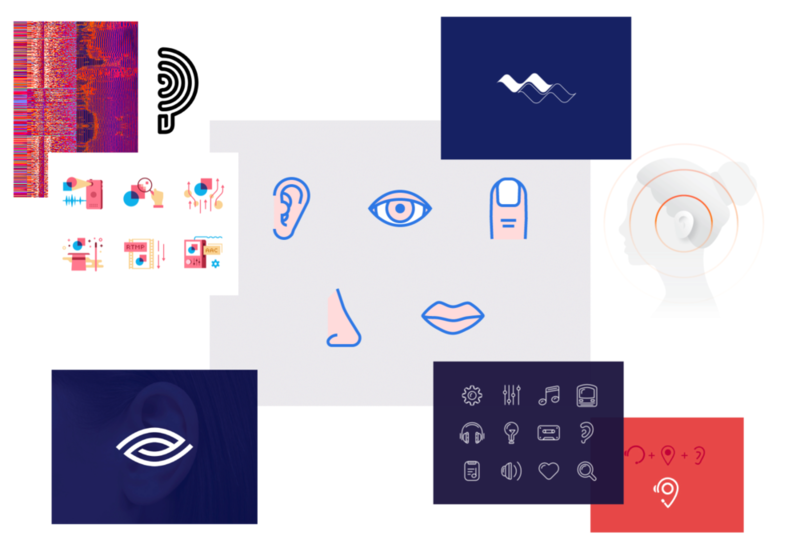 Now that we had our project name, I explored some visuals that related to audio, ears, and internet of things. I looked at different color palettes then I used the palette to explore some logos. I also did some quick A/B testing to get a preference in the logo. I started with as many ideas as possible for the two names, had people vote, and then narrowed down the design direction. I also explored the color palette and what it might look like in the UI. Me and my fellow designers then worked on flushing out the high fidelity flow. We worked directly with the development team to implement the designs in the "listener app". 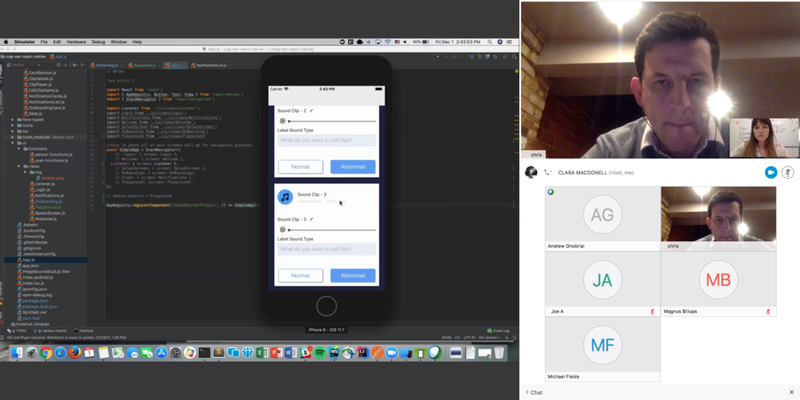 Starting with the Android app, we then worked on the IOS implementation as well. 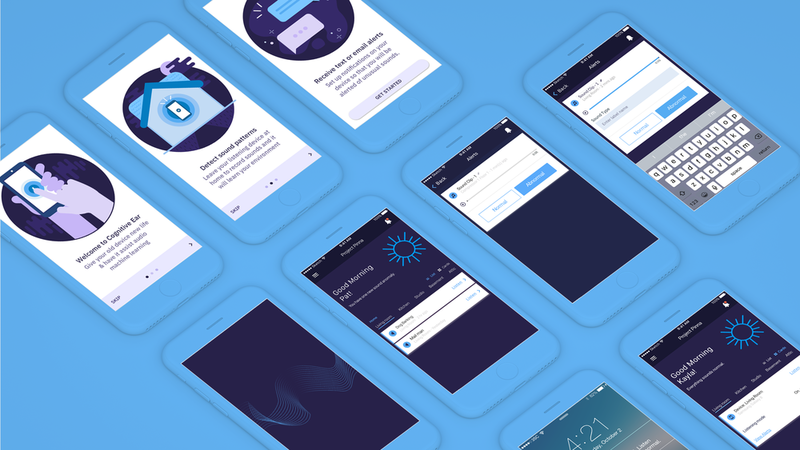 Here are some on boarding screens that I illustrated for the app. While working on the listener app for consumers, there was an outreach from the Interserve and the Royal National Lifeboat Institution. The businesses were looking for a way to ensure that their preventative maintenance was not wasting resources. They were looking for an cost effective, non-intrusive plant monitoring system that could detect potential maintenance issues and alert the facility management team. Since the research team was already working on the sound collection piece, this was another good use for the app. Around the same time, I was asked to submit this project for a developer new hire project and I thought this business case would be a great starting point. Some lifeboats from the Royal National Lifeboat Institution. Here is a photo of the initial wireframe ideas that our sponsored user (Chris Gage) had for the listener app that would be used at RNLI. I submitted the project and it was accepted then I was given a team of six new hire developers. We had six months and my goal was to build a React Native mobile app that would solve the business user needs. Once our hills were formed, we got to work on the prototype. 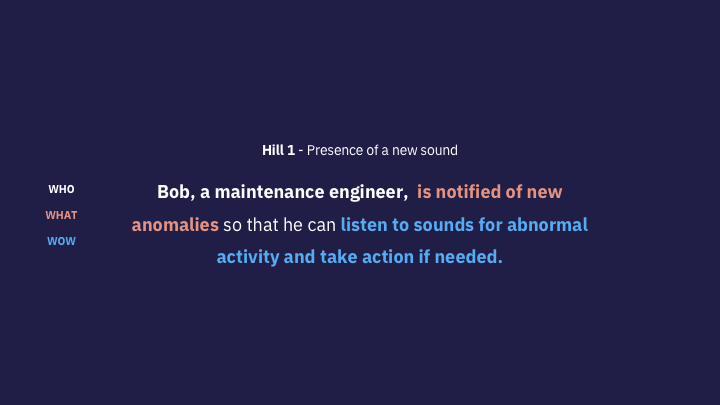 The main goals were to allow users the ability to listen to and mark the "abnormal" sounds that the system captures as well as a way to categorize the sounds. I worked directly with the developers and researchers to create a strategy for implementation. We used the established look and feel that we created for the listener app. After all the hard work, there was a final playback with the teams, coaches, and sponsored users. There were judges present who critiqued based on prototype quality and the use of design thinking and my team's project won!